Temperature data is essential for predicting the weather. So, the U.S. National Weather Service, and every other weather service around the world, wants temperatures to be measured as accurately as possible. To understand climate change we also need to be sure we can trust historical measurements. A group called the International Surface Temperature Initiative is dedicated to making global land temperature data available in a transparent manner. Surface temperature measurements are collected from about 30,000 stations around the world (Rennie et al. 2014). About 7000 of these have long, consistent monthly records (Fig. 1). As technology gets better, stations are updated with newer equipment. When equipment is updated or stations are moved, the new data is compared to the old record to be sure measurements are consistent over time. In 2009 some people worried that weather stations placed in poor locations could make the temperature record unreliable. Scientists at the National Climatic Data Center took those critics seriously and did a careful study of the possible problem. Their article "On the reliability of the U.S. surface temperature record" (Menne et al. 2010) had a surprising conclusion. The temperatures from stations that critics claimed were "poorly sited" actually showed slightly cooler maximum daily temperatures compared to the average. 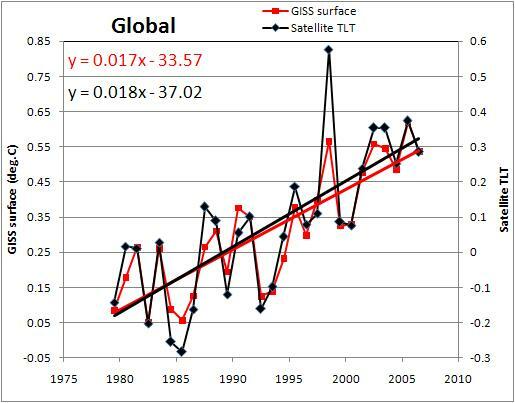 In 2010 Dr. Richard Muller criticized the "hockey stick" graph and decided to do his own temperature analysis. He organized a group called Berkeley Earth to do an independent study of the temperature record. They specifically wanted to answer the question is "the temperature rise on land improperly affected by the four key biases (station quality, homogenization, urban heat island, and station selection)?" Their conclusion was NO. None of those factors bias the temperature record. The Berkeley conclusions about the urban heat effect were nicely explained by Andy Skuce in an SkS post in 2011. Figure 2 shows that the U.S. network does not show differences between rural and urban sites. Temperatures measured on land are only one part of understanding the climate. We track many indicators of climate change to get the big picture. All indicators point to the same conclusion: the global temperature is increasing. All the Berkeley Earth data and analyses are available online at http://berkeleyearth.org/data/. Plot your own temperature trends with Kevin's calculator. Or plot the differences with rural, urban, or selected regions with another calculator by Kevin. NASA GISS Surface Temperature Analysis (GISSTEMP) describes how NASA handles the urban heat effect and links to current data. NOAA Global Historical Climate Network (GHCN) Daily. 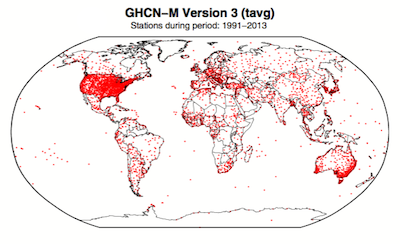 GHCN-Daily contains records from over 100,000 stations in 180 countries and territories.